WeChathas added a host of new features and announced several planned features for thefuture in its annual report in April 2017. Many of these WeChat features willfundamentally change the way that companies can conduct marketing campaignsusing the platform. Asshown in the first part of this series, WeChat is still growing strongly by thenumbers, but what has it done to improve the experience of both users andbusinesses? As we’ve seen in our previous article, WeChat has come to dominatea huge chunk of the time spent on mobile devices. 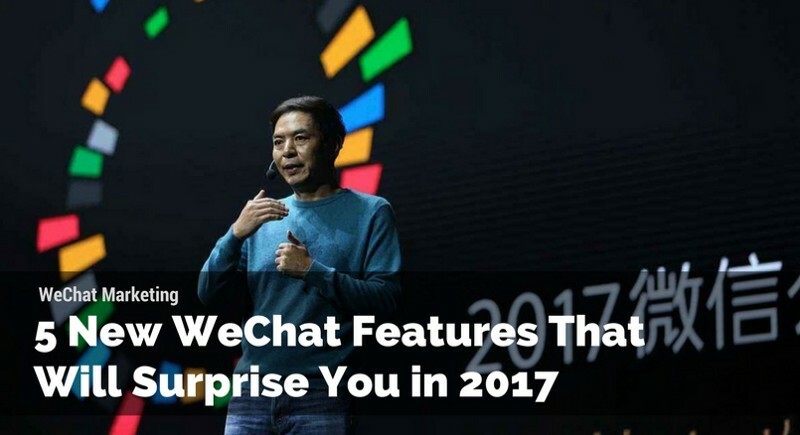 WeChatis adding new features to continuously expand its offering and increase theamount of time spent within the WeChat app even more. We’ll provide a briefsynopsis of some of the major changes and the implications they have forbusinesses using WeChat. Thiswas a major change that many companies have been waiting patiently for. 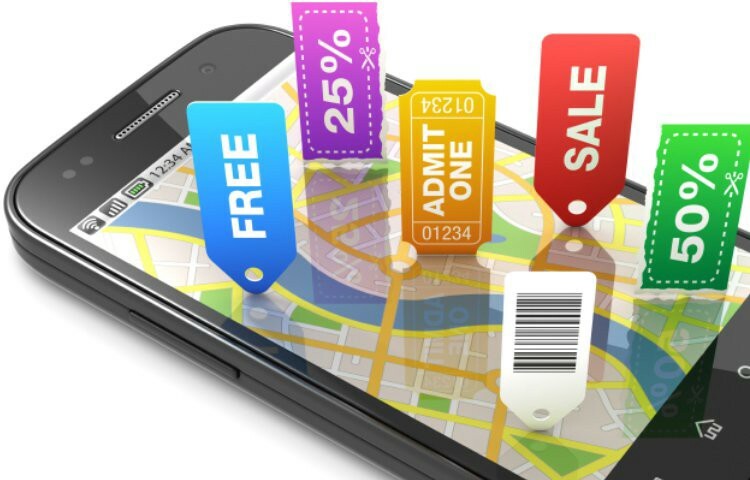 WeChatnow offers the ability to limit the reach of advertisements for a significantdrop in ads price. 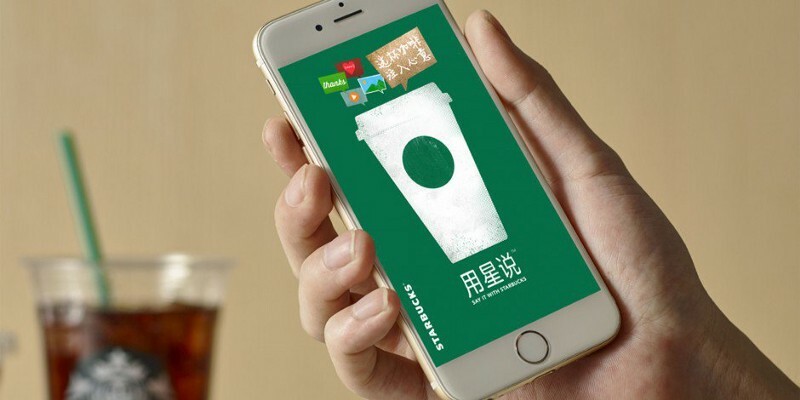 It has presented small andmedium businesses with a significant opportunity to begin using paidadvertising services on WeChat. The market for paid advertisements was previously dominated bylarge companies with massive marketing budgets. Previously,the price for even a single campaign on WeChat would be more than most smalland medium businesses could afford. The price of these campaigns depends on thenumber of impressions (or the amount of people that see your advertisement). Costsfor these localized advertisements can be as low as50 RMB for 1000 impressions in somedistricts, with a minimum buy of at least 300 RMB. Of course, the more populous, wealthy, or competitive the businessdistrict the more expensive the cost per campaign. Campaigns in Beijing andShanghai, for example will cost around 150 RMB per 1000 impressions. This featurewill be available in 22 large cities throughout China. Thebenefits of these localized campaigns for small business have not been testedas of yet, as they were only introduced in November 2016. However, theselocalized campaigns represent a significant opportunity for small and mediumbusinesses to access advertising on the largest social media platform in China. Tencenthas long considered adding paid content to WeChat, which would give users’access to a new level of premium content. In a survey of users Tencent foundthat over 50% of users were willing to pay for content if itappealed to them. 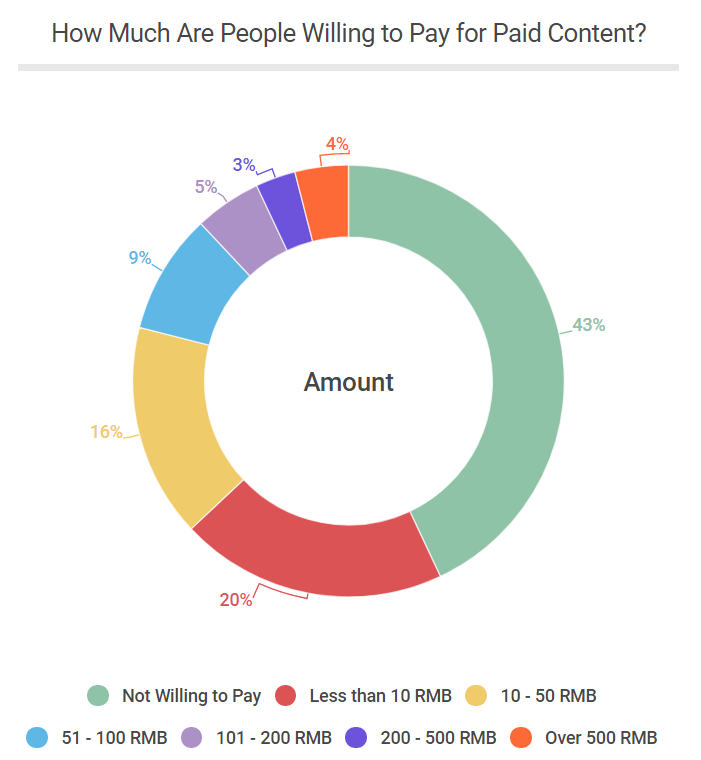 When Tencent conductedthe same survey last year only 30% of respondents were willing to pay forcontent. This represents a massive opportunity for both Tencent and contentproviders. This couldincentivize content providers to provide higher quality content, which would generate profits for Tencent and improve the WeChat userexperience. WeChat has begun experimenting with the concept by allowing selectofficial accounts to offer paid content as a trial experiment. Tencentis expected to roll out access to this feature in thecoming months for more official accounts beforedetermining whether or not it will fully implement the feature. WeChat’ssearch feature has been pretty limited in its scope up until this year.However, WeChat’s search bar has begun offeringresults outside of the WeChat app itself,significantly improving its capabilities, and providing users with anopportunity to conduct their searches from without leaving the app. Whileallowing users to access content hosted outside of WeChat, it fits in nicelywith WeChat’s goal of keeping users within the app as much as possible. Theyalso helped to optimize the way you search for content within WeChat, allowingyou to apply a variety of filters to find the content you need. This feature can really help WeChat improve its user experienceand increase the amount of time people use the app. WeChatintroduced several game-changing features in terms of media on the WeChatplatform. Music and Video, of course, being the mostimportant.Prior to 2016 users couldn’t listento music or watch video directly through the WeChat platform. Bothof these WeChat features were added in late 2016 and present newopportunities for marketing and creating viral content for WeChat’s massive user base. Musicians andartists are the primary beneficiaries ofthis change, but marketers and companies can also utilizethese features to differentiate themselves fromthe growing competition among official accounts. WeChatalso recognized the growing popularity of apps like Meitu for their photo and video-editing capabilities and decided toalso offer these features within WeChat. WeChat had already provided a camerafeature, so offering photo/video editing features was a natural extension ofthe WeChat app’s capabilities. WeChathas added a slew of new partners to produce mini-programs and features toimprove the capabilities of the app. The gifting feature for example, was madefamous by Starbucks and allowed users to send a coffee to one another through itsmessaging service. It’salso been linked to other social media platforms, email servers, ride-hailingservices, e-commerce sites, enterprise software, and even several financialservices. WeChat will continue to form partnerships going forward tocontinuously expand its service offering. 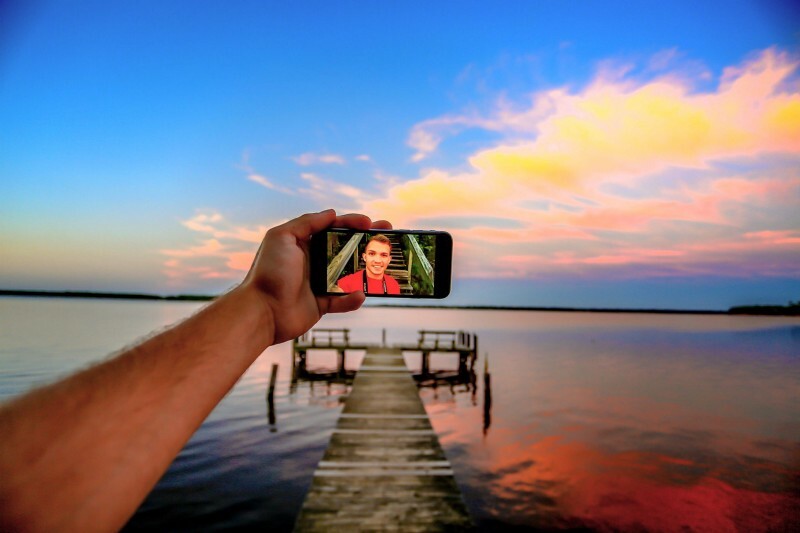 LiveStreaming has long been considered an interesting feature for social mediaplatforms. Most Western social media sites have already begun to offer thisfeature, like Facebook and Instagram. 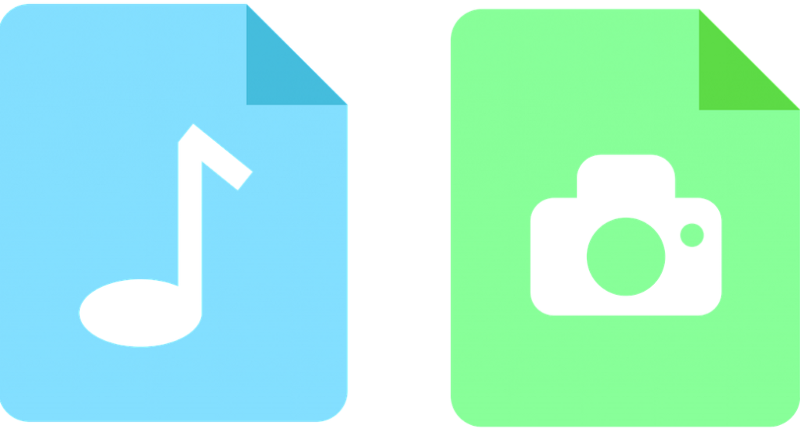 Shortvideos have, in general, become an extremely popular format for content.Although short-lived, Vine enjoyed tremendous success before other platformsimplemented similar functionalities. While WeChat may choose to implement thisfeature, many feel that it doesn’t fit well into WeChat’s overall serviceoffering. I’mof the opinion that if WeChat were to implement the feature in a non-intrusiveway for non-participating users, it couldfurther expand its capabilities and possibly create a completely new format ofcontent for its users to experiment with.We’ll have to wait and see on this one, as Tencent hasn’t made its thoughts veryclear on this feature. 2. WeChat Mini-Programs: Maybe not as Mini? Manyhave speculated that as useful as mini-programs have been for many companies,they are still difficult to access and very limited in their functionality.They have been getting more powerful since their initial inception, but manyfeel they are more trouble than they are worth. Thecost of designing a WeChat mini-program and the difficulty in getting it in thehands of customers has driven away many small and medium businesses. Small andmedium businesses would certainly benefit from an overhaul of the mini-programfunction. With WeChat’s pivot towards catering to small and medium businessesthrough its newy offered localized advertising, many feel that Tencent mightmake mini-programs more accessible as well. WeChat’sgrowth shows no sign of stopping and we can expect to see them add morefeatures to continuously improve the user experience. WeChat has begunconsidering the needs of smaller scale businesses more with their recent updatesand hope to see more feature additions to benefit this group in the future.